In honor of Thanksgiving, I thought I’d re-share one of my all-time favorite recipes. 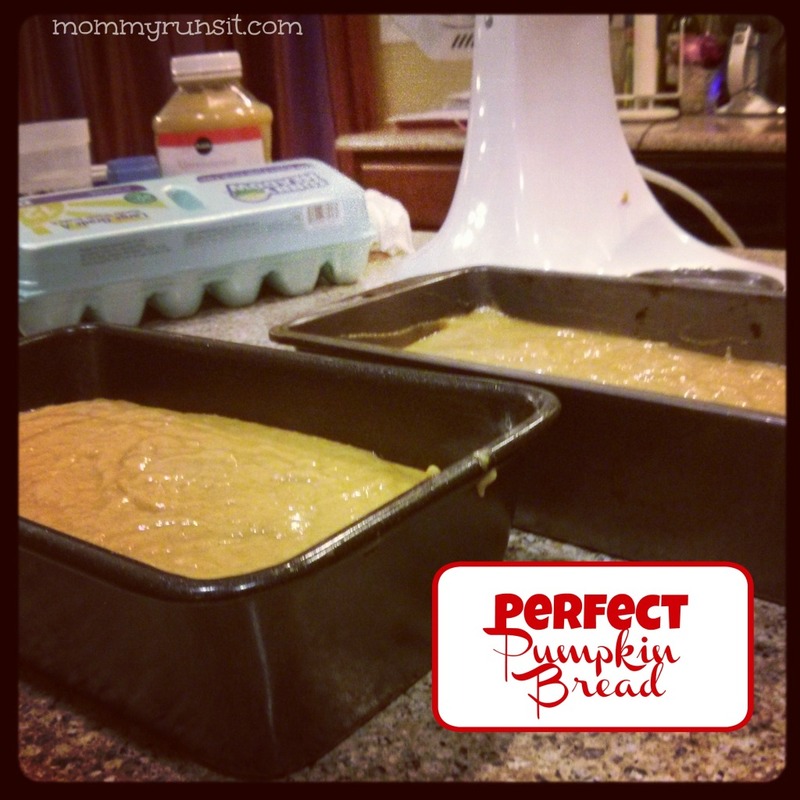 I shared this recipe for Pumpkin Bread here a couple of years ago, and people seemed to like it – so if you missed it, here it is again. Adapted from Pumpkin Pie Bread by Tanja Miller. Original recipe found on AllRecipes.com. Grease two 9×5 inch loaf pans. Sift or mix together the flour, baking soda, baking powder, salt, and pumpkin pie spice. Set aside. In a large bowl, beat together sugar, applesauce, eggs, and pumpkin puree. Slowly stir in the flour mixture, alternating with water. Divide batter evenly between the prepared pans. Bake in the preheated oven for 60 to 70 minutes, or until a toothpick inserted into the center comes out clean. I let the loaves cool in the pan, then I take them out and wrap them in plastic wrap. This pumpkin bread tastes great straight out of the oven, but it tastes even better when you let it sit overnight. WARNING: Once you make this for your family, there’s no turning back! If they’re anything like mine they’ll ask for it again and again, all year long. Luckily, it’s quick & easy & even kind of fun to bake. Have a great Thanksgiving, friends. I’m thankful for you, today and always.